The Killer whale is the top predator of the oceans and the most widely distributed mammal species on the planet, and therefore its ecological role is critical. Although the species is not considered threatened globally, the population of the Strait of Gibraltar is classified as Critically Endangered on the IUCN Red List due to the small number of individuals and the shortage of prey. The population of the Strait is estimated at just over 40 individuals, which are threatened by the disappearance of blue-fin tuna, their main food in the area. Conservation status: Baltic:- Category CR (Critically Endangered) in the IUCN Red List. 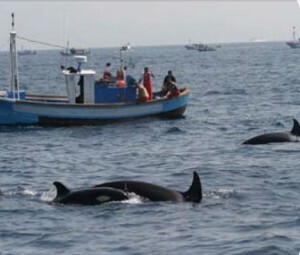 Assess the situation and the threats to the population of Killer whales of the Strait of Gibraltar. 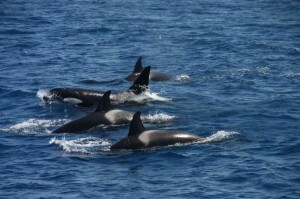 Since 2006 the Loro Parque Foundation has funded the NGO CIRCE for the implementation of population censuses, to determine the importance of the tuna in the diet of orcas, satellite tracking studies and detection of the presence of toxic substances in cetaceans. 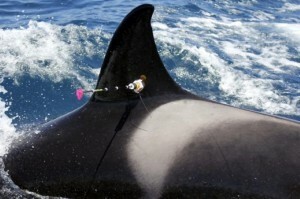 The project has enabled the carrying out of an important experiment, essential for scientists to establish the diet of Killer whales and dolphins from skin biopsies.